Though Jon Favreau has starred in all three Iron Man films, the first two of which he directed, he hasn’t appeared in any other movie in the Marvel Cinematic Universe… until now. Favreau is set to reprise his role as Happy Hogan in Spider-Man: Homecoming, where he will hopefully be doing more than just being an overly paranoid head of security who occasionally has to fetch Tony Stark’s (Robert Downey Jr.) Iron Man briefcase suit. More on the story below. Variety was the first to break the story, but could not offer any more details as how his character will feature in Spidey’s standalone film. 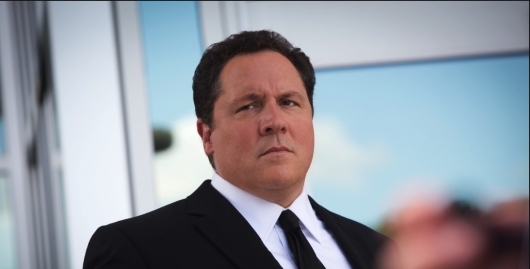 Happy Hogan’s role has changed throughout the Iron Man films he has been in. In Iron Man, we saw him as Stark’s friend, bodyguard, and driver which didn’t change that much in the sequel, except the director just inserted himself into more scenes. But he was given a promotion in Iron Man 3 when he became the head of security for Stark Industries. So it seems that wherever Stark will go, Hogan will not be that far behind. Just what he will be doing for Stark and in the film itself will be interesting to see. Since Stark acted as somewhat of a mentor to Spider-Man (Tom Holland) in Captain America: Civil War, it should be interesting to see how Hogan will interject himself into the conversation or tutelage. We still don’t know much else about the Homecoming other than it follows after the events of Captain America: Civil War and that Michael Keaton is strongly rumored to be playing the Webslinger’s high-flying nemesis, The Vulture. Director Jon Watts (Cop Car) has said that the film will have a John Hughes vibes, and will see the character struggling with his responsibilities of being a high school student and being a New York superhero. Marvel showed a very brief snippet of the film during San Diego Comic-Con earlier this year, which told us that the film will indeed be a coming-of-age high school-set story with superhero flair, something that was rarely explored in the previous two Spider-Man franchises. Though it should be interesting to see how Marvel Studios will fit Homecoming in the MCU. The film also stars Logan Marshall-Green, Martin Starr, Donald Glover, Zendaya, Marisa Tomei, Tony Revolori, and Hannibal Buress. Written by Vacation scribes John Francis Daley and Jonathan M. Goldstein, Spider-Man: Homecoming opens in theaters on July 7, 2017.